“Hammershøi doesn’t scream, he wispers.” - quote Andrew Graham-Dixon in ‘The Art of Scandinavia’ reffering to ‘The scream’ of Edvard Munch. 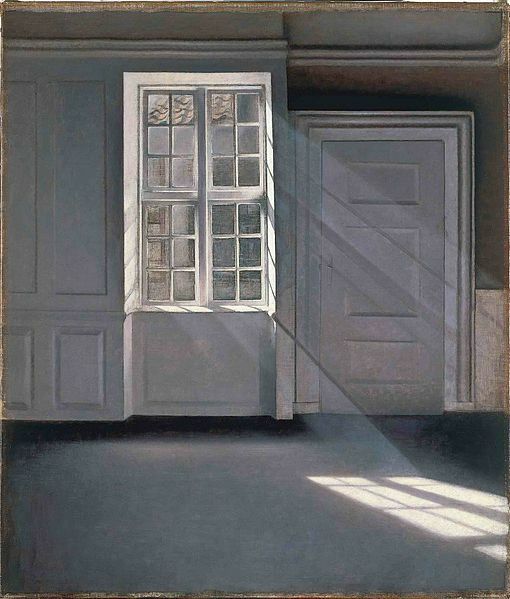 Vilhelm Hammershøi (1864-1916): Sunbeams or Sunlight. “Dust Motes Dancing in the Sunbeams”. Oil on canvas | 70 x 59 cm | 1900 – Danish Symbolist.